Emergency service, debris removal. Palm tree maintenance. Professional tree maintenance from the roots up.Tree maintenance. Professional Tree Maintenance From the Roots Up. That’s how we treat every job we do. If the health of your tree is at risk we can determine the best course of action to take to help the tree survive or remove the tree if necessary. With an experience arborist from First Coast Trees you can rest assured that the quality of service you receive will be superior and convenient for you. We are here to help you with any tree problems you may having. 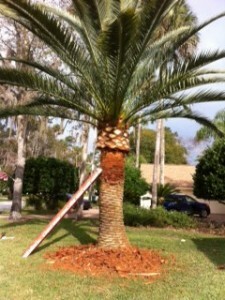 From the estimate to the clean up I was more than pleased with First Coast Tree. They were very professional and did a great job.